Everyone is welcome as the time capsule buried in Wilcox Park is unearthed and opened June 29, 2019. 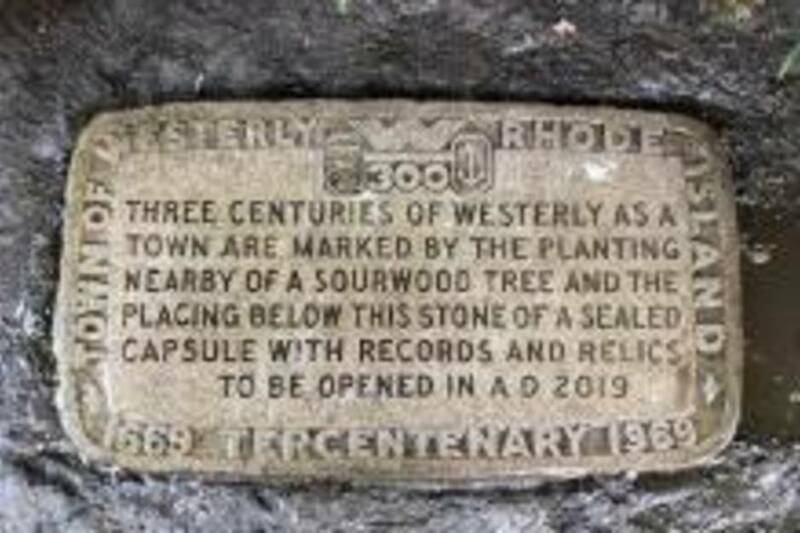 The Capsule was buried in 1969 commemorating the 300th (Tercentenary) Anniversary of the Town of Westerly, while 2019 marks its 350th. 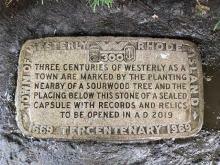 Come see for yourself the surprises and relics that have been sealed away for fifty 50 years. 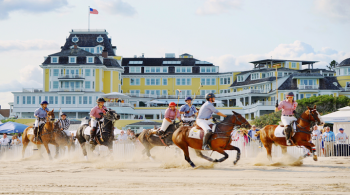 Just how have times changed with everyday objects and news-worthy events? The ceremony will be held at the Wilcox Park historic Bandstand (gazebo) which is adjacent to the site of the capsule and commemorative Sourwood tree that was planted at the same time. The ceremonial opening of this historic treasure will be overseen by some of the very same citizens who attended its installation in 1969. Don't miss this rare opportunity to witness the past meeting the present.